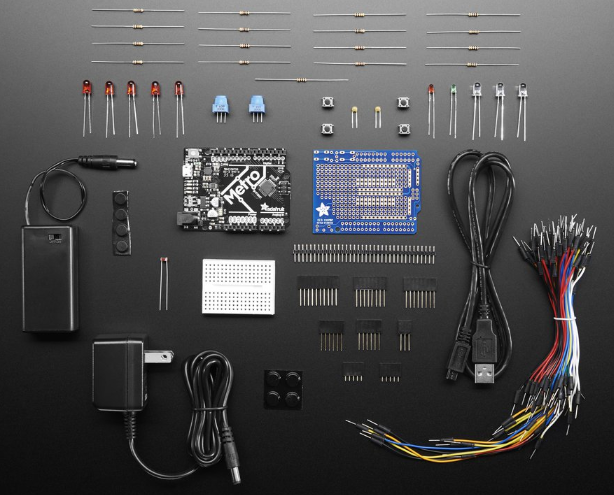 The Adafruit Metro Starter Pack is easy to use and hacker friendly and this is the perfect beginner kit for learning how to use the Adafruit Metro! This bundle is designed to get you started quickly and easily on your path of learning electronics. Follow the introductory tutorial to get started. Just sub in the Adafruit Metro for the Arduino UNO R3 and you'll be all set! 9V DC regulated wall adapter - works with US (110V) and European (220V) power.